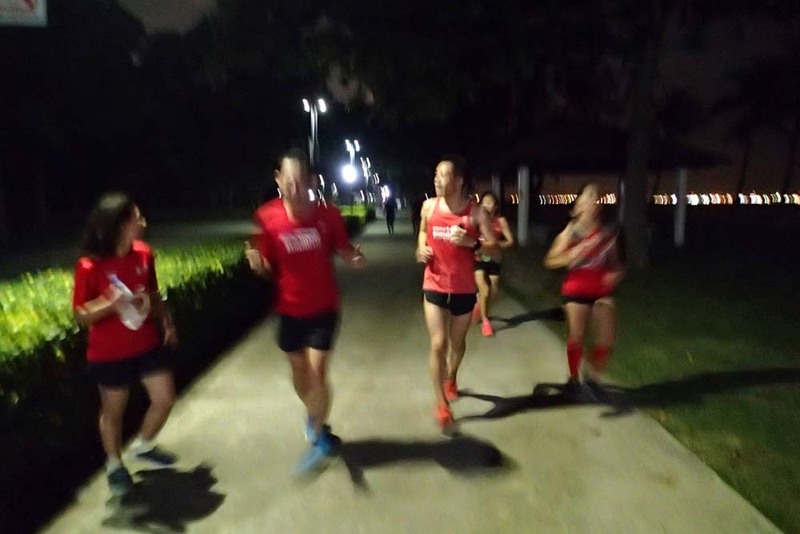 This being the 15th day of the Lunar New Year and a weekend full of international races, the NightHawks who showed up for the important Week #7 longest run to date were definitely a committed flock. 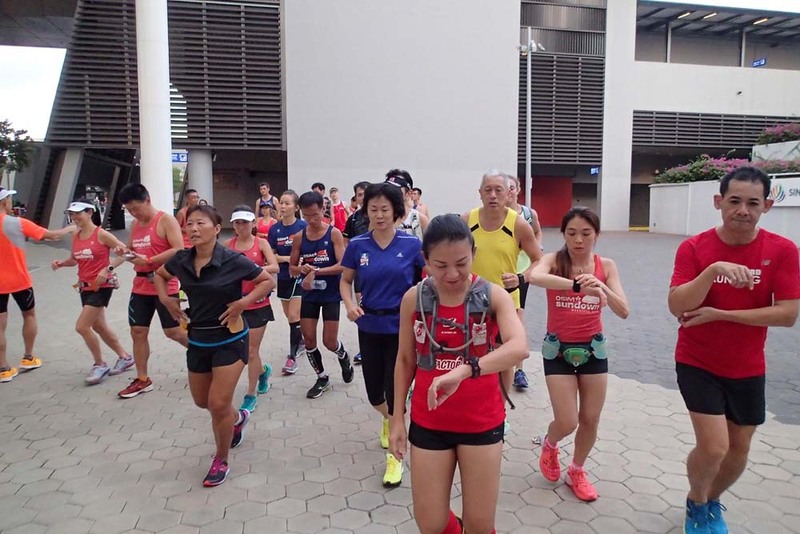 The weather was dry, windy and cool, just the perfect conditions to check out their abilities to go for sustained Marathon Pace (MP) of 21km (Half Marathoners) and 30km (Full Marathoners). The holiday and family crowd were out in full force this Chap Goh Mei (15th Day Of CNY) along our running routes of Tanjong Rhu up to end of East Coast Parkway. 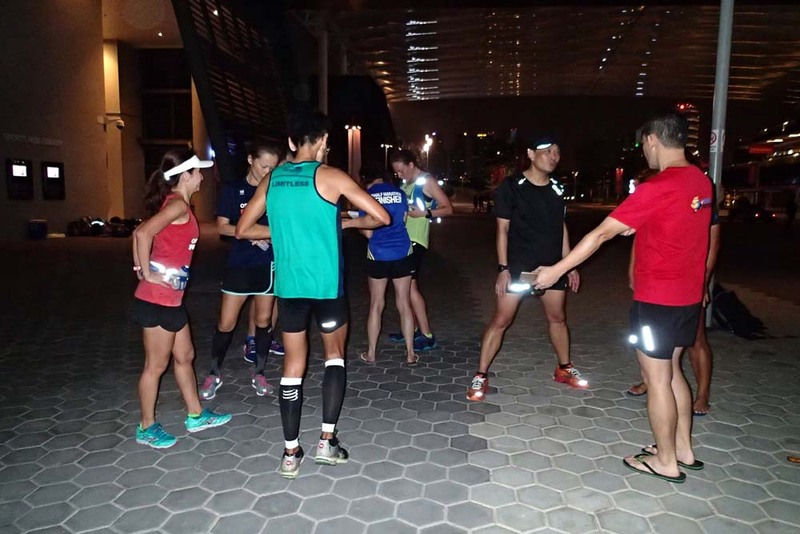 As the NightHawks were focused in maintaining even MP in their respective pace groupings, the holiday makers were engrossed in their revelry merry making on a cool, windy evening. 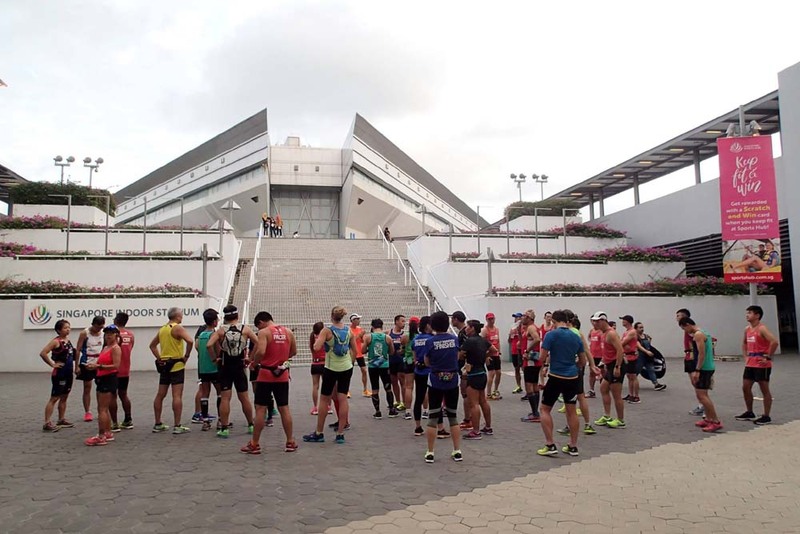 The NightHawks were also putting their hydration and nutrition plans through initial trials, with a few weeks left to race day to iron out any kinks and to make adjustments to their race night plans. The first half of the distance was covered well within pace targets as expected. 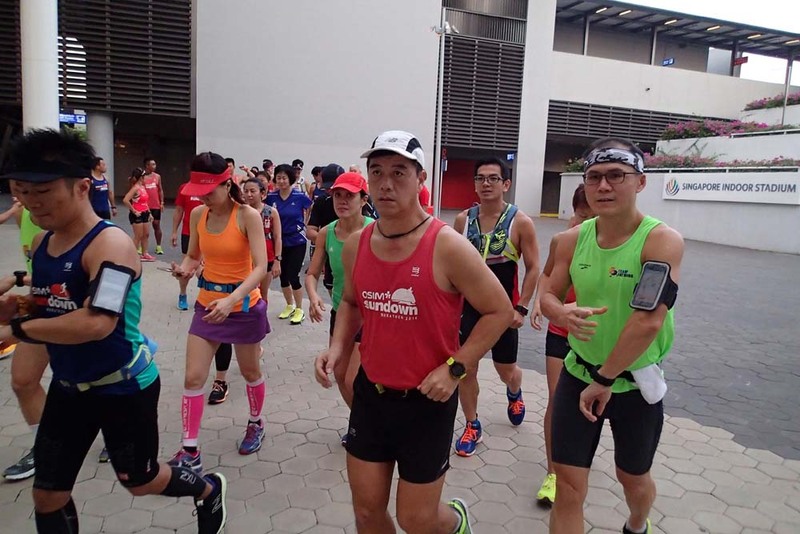 The Half Marathoners U-turned at the Food Centre to return back to Sports Hub able to sustain pace for most until the 18km mark, before feeling fatigue. 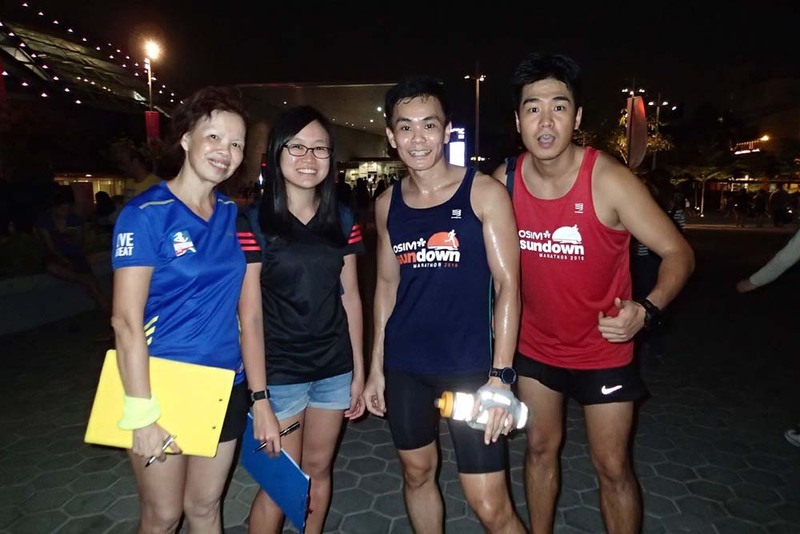 Those who had electrolyte and gel replenishment had a better run sustaining MP all the way. 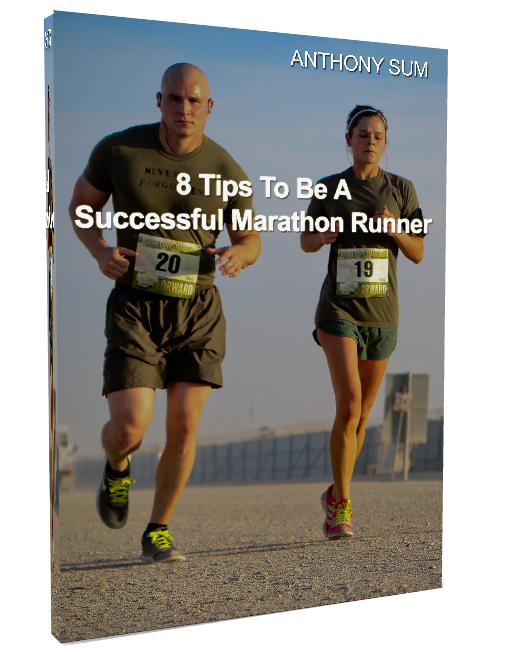 The Full Marathoners ran all the way to their mid point at NSRCC before turning back. 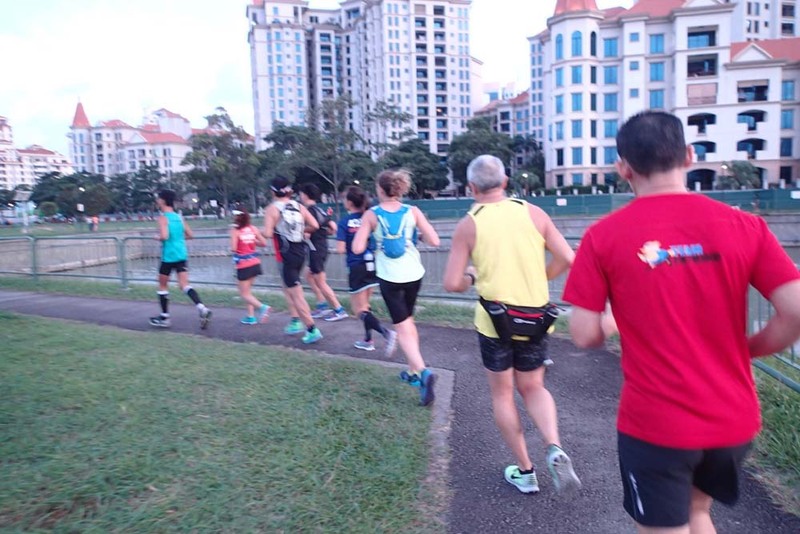 Gels were taken at proposed 15km and 23km distance marks to help sustain pace. 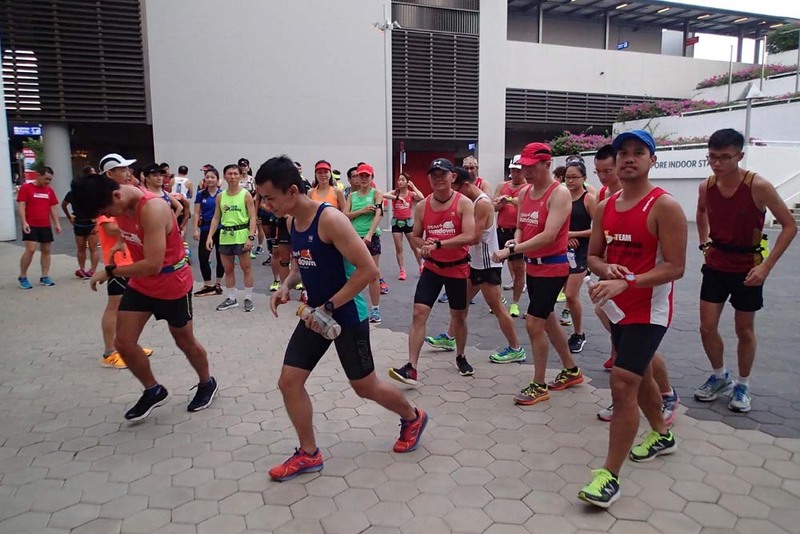 Still, fatigue began to tug at the FM NightHawks from the 25km mark onwards, providing a good challenge to their mental and physical abilities. 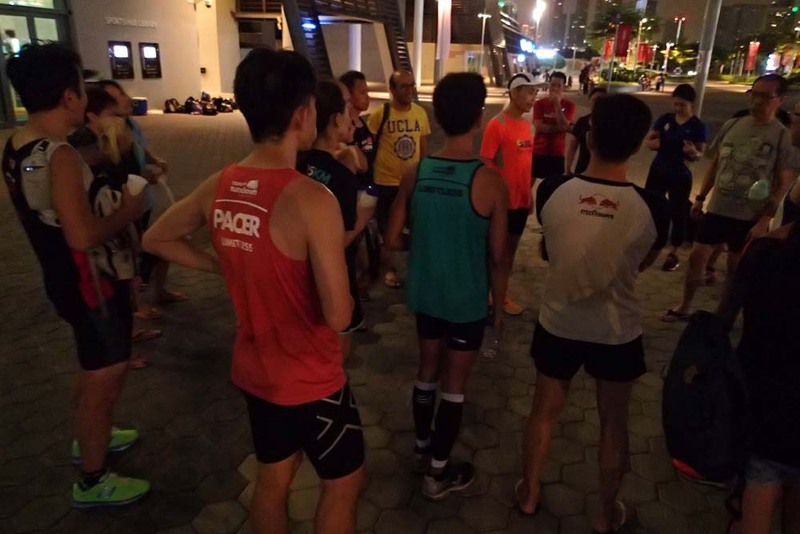 The entire flock did well to complete their respective target workouts at Marathon Pace by 10.30pm, just barely making the cutoff allocated. 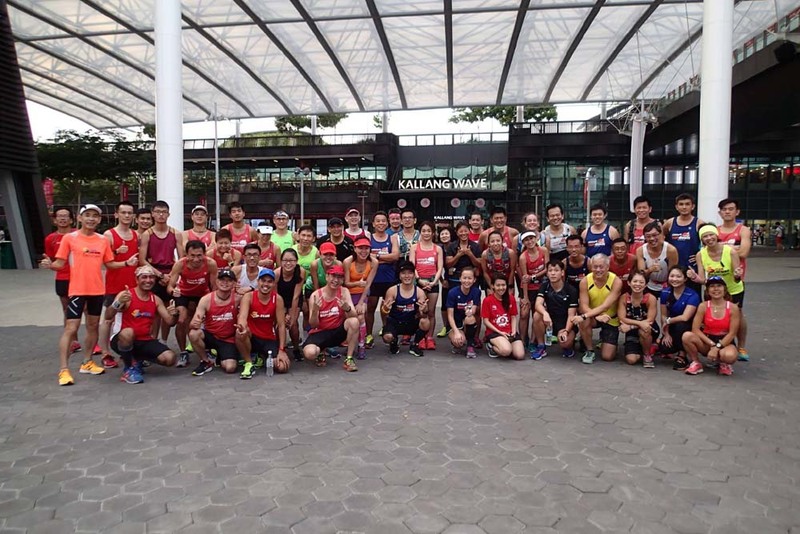 It was sweet success for some of the trainees who have prepared well for this longest training run, while others took away some valuable lessons on managing pace and conditioning of their running muscles to handle the challenges of the marathon. The NightHawks Conquered Their Longest Distance!